Glenda Rivera taught high school history and other social sciences for more than fifteen years, in a private college prep school. 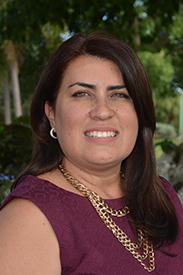 During her career in education, she has served as department chairperson, reaccreditation committee member, National Honor Society advisor, class sponsor and student travel coordinator. She graduated from Loyola University of New Orleans with a B.A. in Education and a Juris Doctor from the same institution. She is an active member of the Methodist Church of Puerto Rico, volunteering in their homeless outreach programs. She is the mother of a current TASIS Dorado ninth grade student.